Singer and pianist Richard Street attended high school with future Monitors-mate Warren Harris, Otis Williams, and cousin Melvin Franklin. 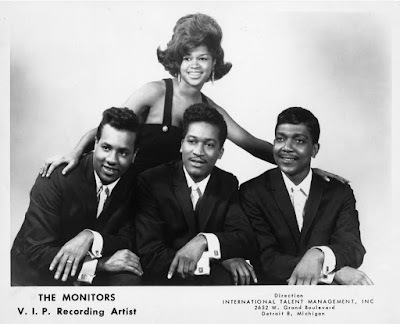 Warren was part of a group called The Distants, along with Otis Williams and Melvin Franklin, but he departed as The Distants merged with The Primes, to form The Temptations. Warren and Richard were part of a group called The Fagins, before a name change, calling themselves The Majestics. Thomas Mealey (listed as Meatley in B.M.I. 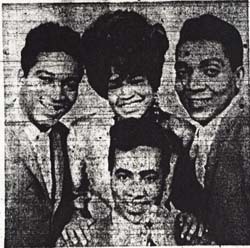 ), Pedro Maneka, Maurice Fagin, and Warren Harris were The Majestics who recorded for Chex Records in 1962. 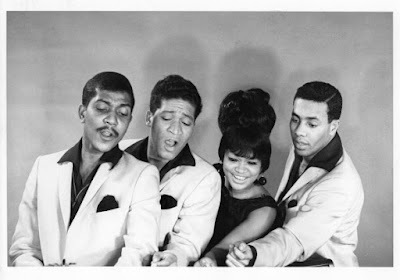 In 1963 Street and Harris formed a new Majestics group together with married couple Sandra and John Fagin, and the group signed with Motown. 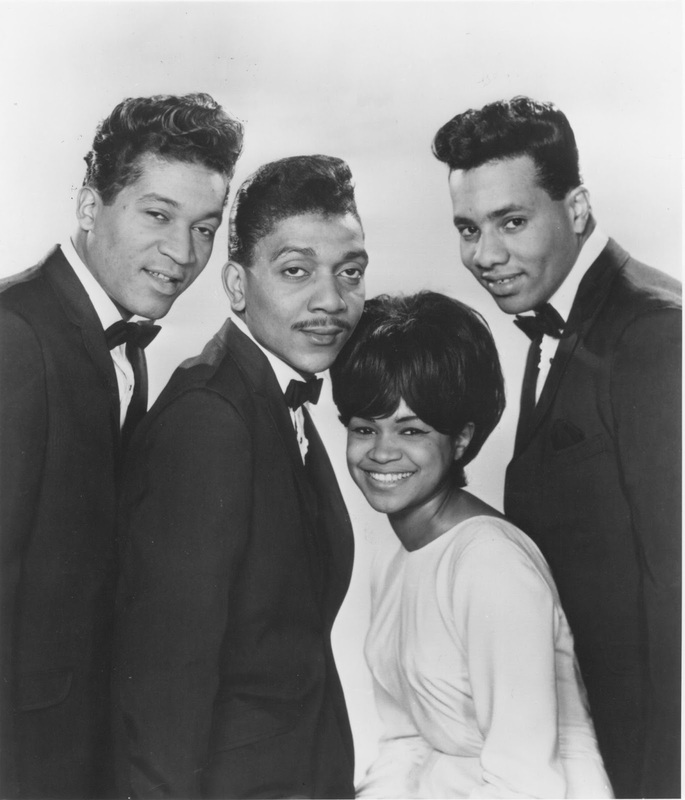 “Hello Love” was written by Street, Harris and Thelma Gordy, and was scheduled for release on V.I.P. in 1964, backed with “The Further You Look, The Less You See” written by two Motown legends, Smokey Robinson and Norman Whitfield. Unfortunately V.I.P. 25010 was cancelled. In 1965 The Monitors finally received the greenlight for a released single (“Say You” b/w “All For Someone”). After the initial pressing, Motown learned that a white group named The Majestics had been recording on the Linda label. And so The Monitors were born. “Say You” was eventually released on V.I.P. 25028. The song peaked at #36 on the Billboard R&B charts. 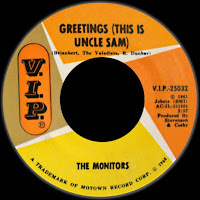 The Mickey Stevenson, Hank Cosby, and Ronnie Dunbar production, “Greetings (This Is Uncle Sam)” (backed with "Number One In Your Heart") was the closest The Monitors got to hit status, at #100 Pop and #21 R&B in 1966. This song was originally recorded by The Valadiers and reflected the concerns of the younger generation regarding the Vietnam War at the time. 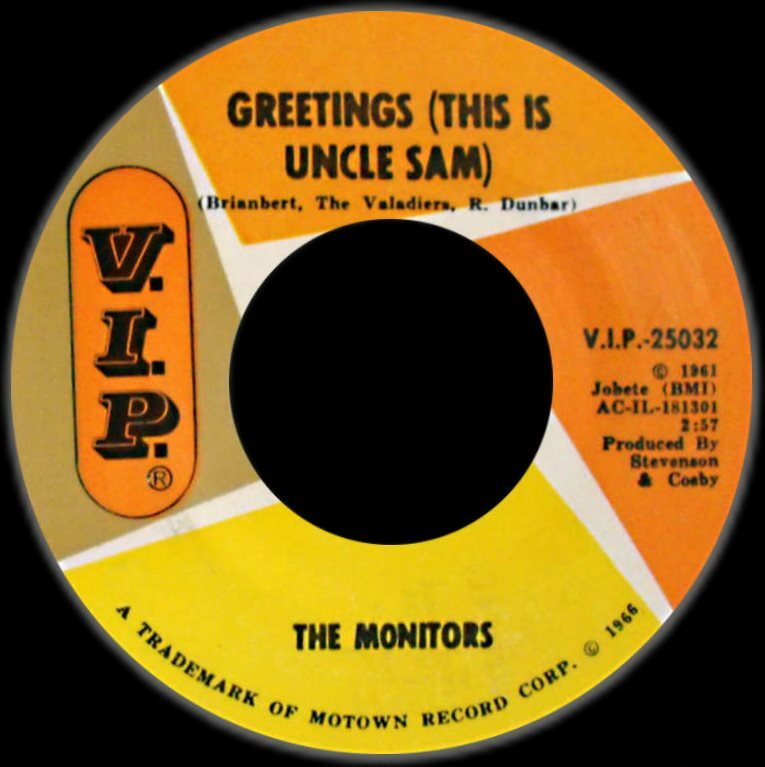 The Monitors released a couple of further releases for the V.I.P. 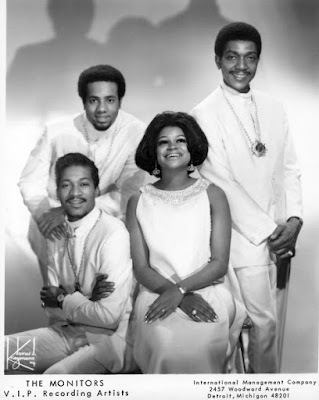 imprint, including “Since I Lost You Girl” b/w “Don't Put Off Till Tomorrow What You Can Do Today” (in 1966) and “Bring Back The Love” b/w “The Further You Look The Less You” (in 1968). 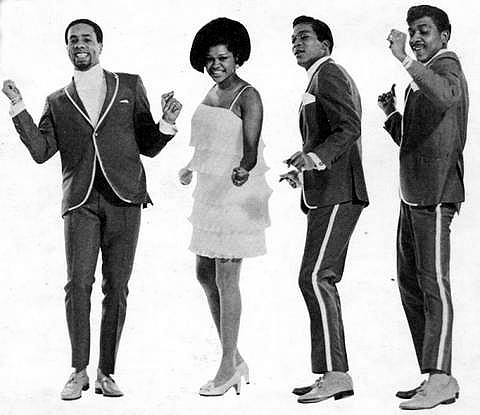 After an internal move to Motown's Soul Records label, the group released “Step by Step (Hand in Hand)” b/w “Time Is Passin’ By” in 1969. The single proved to be their last release for the label, however, a parent album was released, entitled “Greetings! We're The Monitors”, in 1968. It was originally scheduled for release on V.I.P. but surfaced on the Soul label. The album was kind of a disappointment as it didn't include all the B-sides from their five singles, and the material wasn't up to Motown's usual standards. 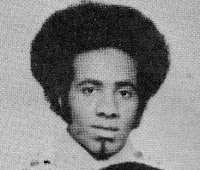 When Paul Williams was forced to depart The Temptations due to the failing health, however, Richard Street stepped in for him in 1971 and The Monitors’ fate was sealed. 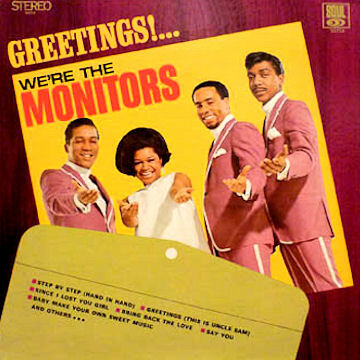 As a result of his new affiliation, The Monitors quietly faded into history; as The New Monitors the remaining group members did manage a single release on Buddah in 1972. Richard Street passed away in 2013 at the age of 70. Great post krobi !! Please keep them coming. Thanks a lot for your comment Chi-Town!